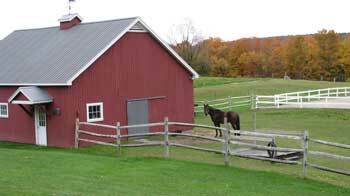 Happy Daze Farm is a 100 acre full boarding facility with 10'x12' box stalls and individual or group turnout. 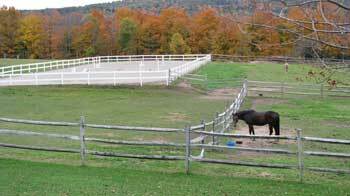 We have an 80'x150' sand ring with jumps. Dirt roads and mountain trails offer an added benefit. For current boarding rates, please email us at HappyDazeF@aol.com or call us at 802-229-9551.